The latest addition to the kioti range is the new DX series which features hydraulic power shuttle transmission with 16×16 speeds. 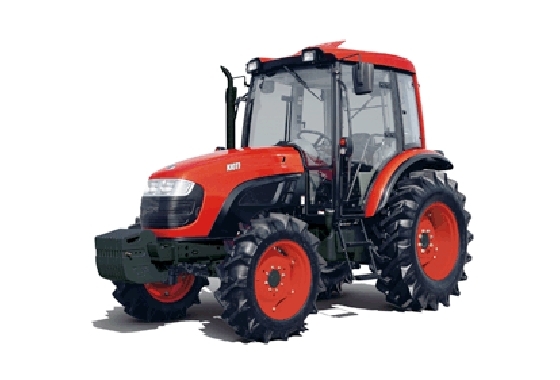 The DX series tractor features a full deluxe roomy air condition cabin with all the controls ergonomically position for maxium operator comfort. Auto PTO fitterd as standard across range with 540/1000 rpm speeds. Telescopic cat 2 link ends are a feature of this tractor making attaching implements quick and easy. Mid mounted hydraulics and a new single lever joystick, that is conveniently placed for loader operation can be found on the dx series.